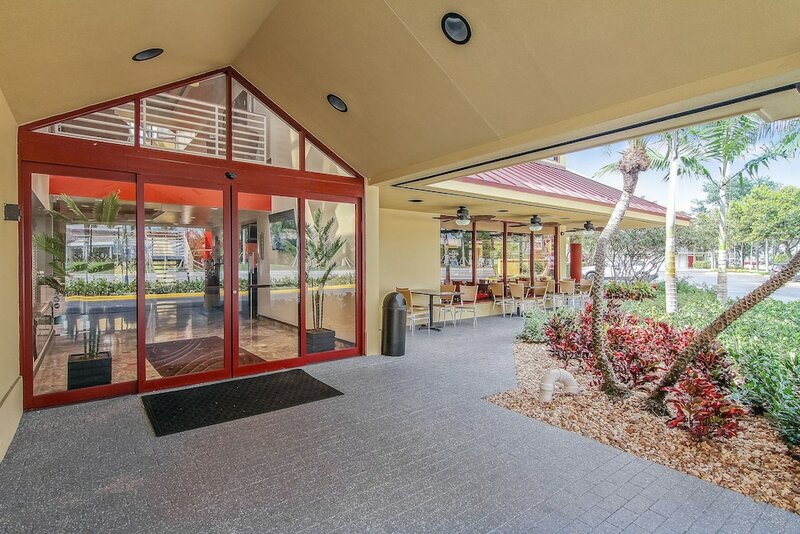 Located in Downtown Fort Lauderdale within a short walk of The Galleria at Fort Lauderdale, The Link Hotel on Sunrise is within a mile (2 km) of other popular sights such as Hugh Taylor Birch State Park. This 3-star hotel has 144 rooms and welcomes guests with free breakfast, an outdoor pool, and free in-room WiFi. A flat-screen TV comes with cable channels, and guests can stay connected with free WiFi. Beds sport down comforters and the bathroom offers a hair dryer. Other standard amenities include a refrigerator, a coffee maker, and free local calls. At The Link Hotel on Sunrise, guests enjoy features like an outdoor pool, a fitness center, and free WiFi in public areas. There's free parking, as well as a free airport shuttle at scheduled times. The 24-hour front desk has multilingual staff ready to help with luggage storage, and answer any questions about the area. Additional amenities include 2 meeting rooms, a 24-hour business center, and coffee/tea in a common area. The Link Hotel on Sunrise features an outdoor pool and a fitness center. A computer station is located on site and wireless Internet access is complimentary. Business-related amenities at this 3-star property consist of a 24-hour business center and meeting rooms. A complimentary breakfast is offered. Event facilities measure 0 square feet (0 square meters). A roundtrip airport shuttle is complimentary to guests at scheduled times. This business-friendly hotel also offers multilingual staff, coffee/tea in a common area, and ATM/banking services. Onsite self parking is complimentary. The Link Hotel on Sunrise is a smoke-free property. The Link Hotel on Sunrise offers 144 air-conditioned accommodations with coffee/tea makers and hair dryers. Beds feature down comforters. Flat-screen televisions come with cable channels. Bathrooms include showers. This Fort Lauderdale hotel provides complimentary wireless Internet access. Business-friendly amenities include desks and phones; free local calls are provided (restrictions may apply). Additionally, rooms include irons/ironing boards and blackout drapes/curtains. Housekeeping is provided daily. Airport shuttle service is available at scheduled times from 8 AM to 4 PM. Fees may apply. Contact the property in advance to get details. A maximum of 2 package deliveries will be accepted only for the same name as the reservation holder. Any deliveries received more than 3 days prior to arrival will be returned. Delivery of large/heavy items may be refused. The property cannot be held responsible for lost or damaged goods. For more details, please contact the property using the information on the reservation confirmation received after booking.